16.5 in , Ice cream machine , 67 fl.oz. Finally time for ice cream! 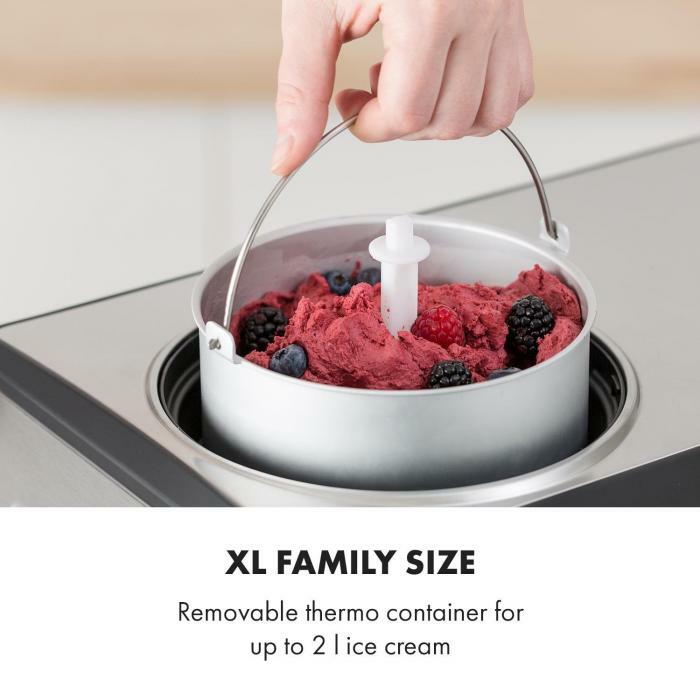 Delicious ice cream in an XL family size! 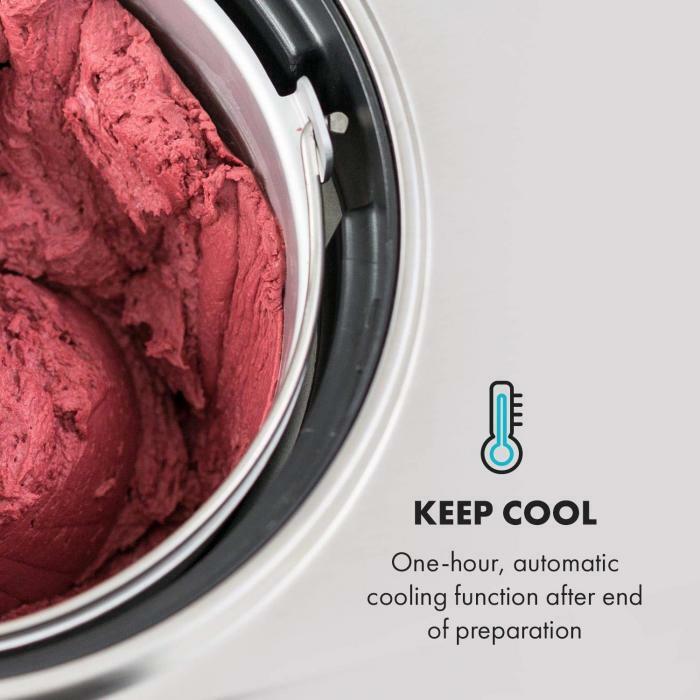 With the Klarstein Dolce Bacio ice cream maker, delicious ice cream and yoghurt specialties such as fruit and soft ice cream or frozen yoghurts can be created in no time. Completely independently of the season, food lovers small and big can get their money's worth. 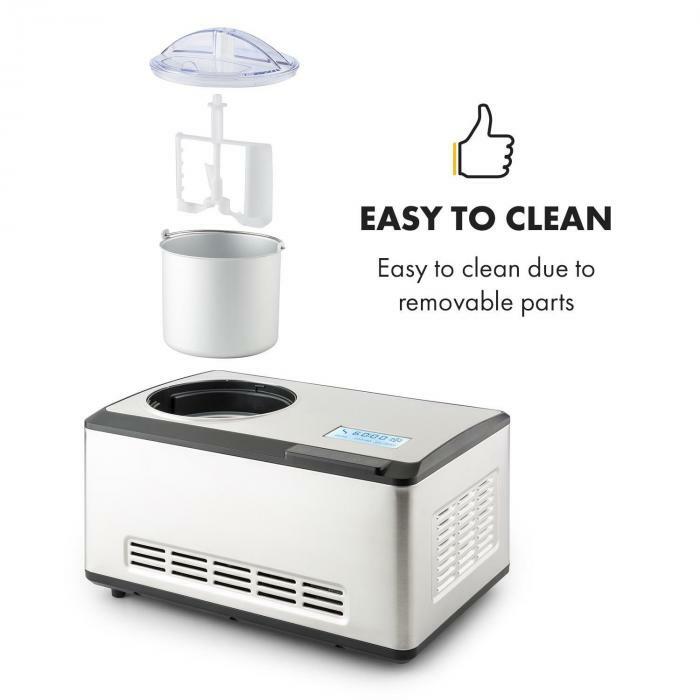 The Klarstein Dolce Bacio is a true turbo ice cream machine, which can solidify up to 67fl oz of delicious creamy ice cream made of selected ingredients in its thermal container within one hour. This ensures the perfect refreshment on hot days and great fun at children's birthdays - as well as the good feeling that you always know that only the best ingredients find their way into the ice cream. This makes it very easy to cater to personal taste preferences and any restrictions on foods, such as lactose intolerance or allergies. The practical FlavourMix concept opening allows you to easily add more ingredients during the preparation process and opens up many new options. 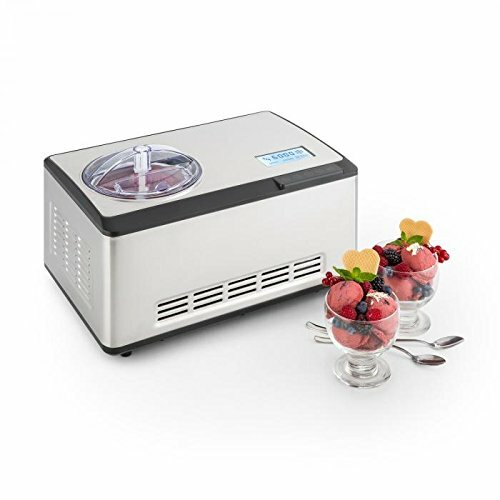 The ice cream machine accomplishes all of this with a very economical power consumption of only 180 watts. 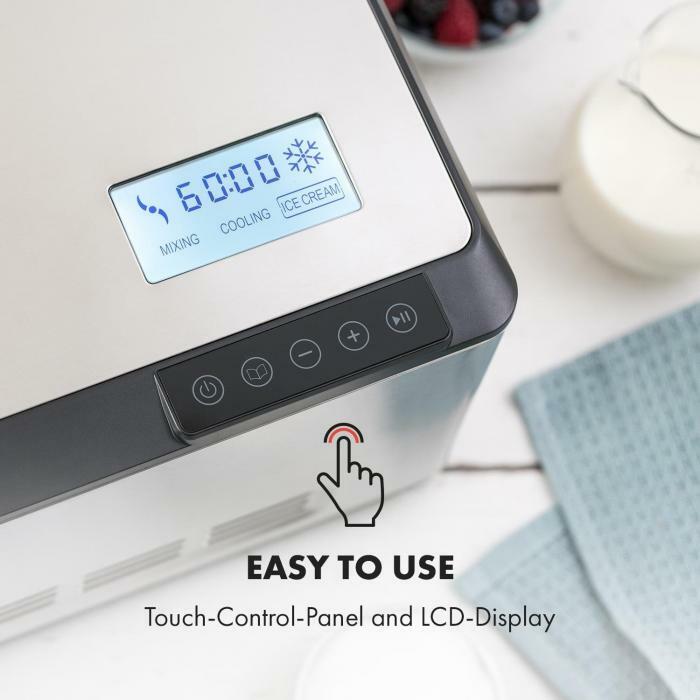 The operation of the ice cream maker is simple and carried out using an intuitive, top-side control panel and a digital display. 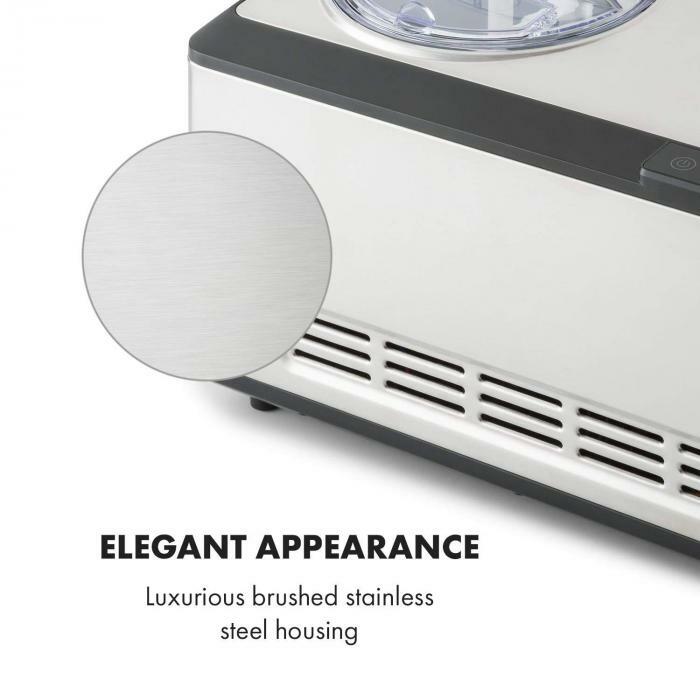 Simply set the desired preparation time of 5 to 60 minutes and start the device. During operation, the remaining time is displayed. 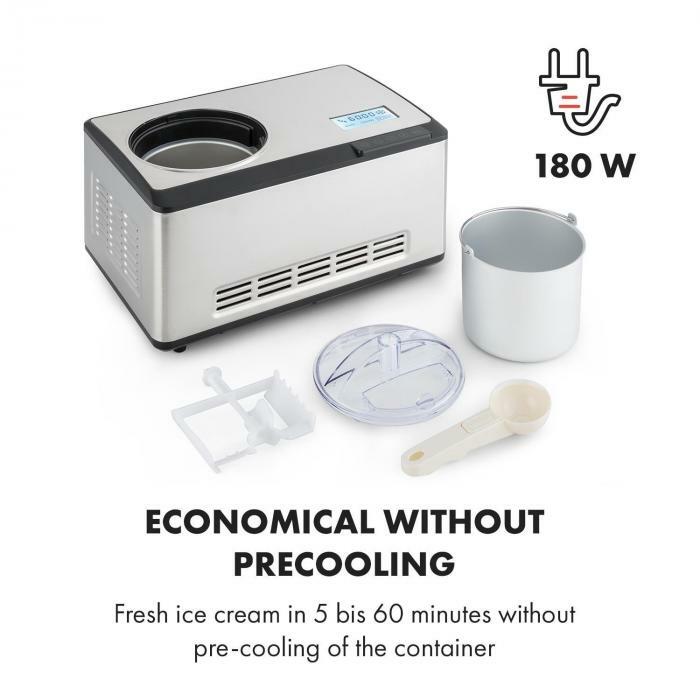 Once the preparation time has elapsed, the ice cream machine switches directly to the one-hour cooling mode so that the icy delicacies will not melt. For serving the finished ice cream and for decorating, an ice cream scoop is available.